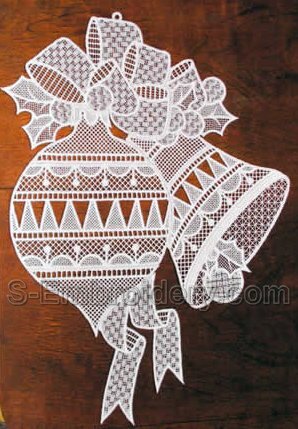 This free standing lace machine embroidery design will produce a fine Christmas window decoration. 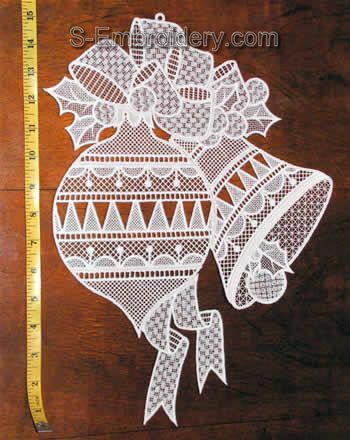 The size of the embroidered window ornament is 12 x 15.7 inches (30 x 40 cm). This Christmas window decoration is split in 6 parts. The largest one has a size of 5.07 x 6.88 inches (129 x 175 mm). All design parts will fit in 5 x 7 (130 x 180 mm) hoops. The number of stitches per file varies between 13,400 and 41,300. You receive 7 machine embroidery files. 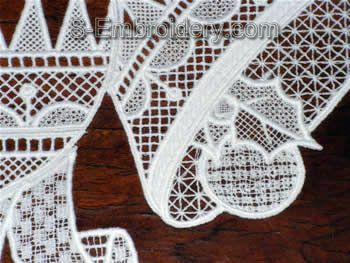 The additional file is to be used in case you would like to use the design not as window decoration but as a doily, as in this case you will not need the hanging loop at the top. 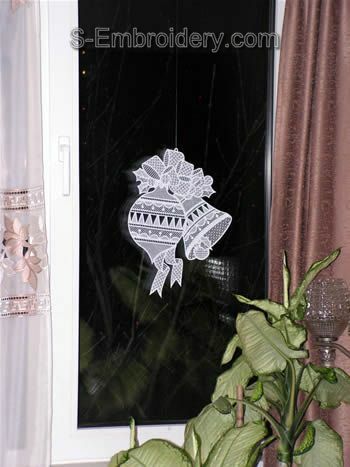 The set of design files includes a PDF with design information and instructions for putting the window decoration together. This is a beautiful design that stiches out wonderfully. Very easy to put together also.